The Wizard Uno is the leader in All in One Cloth Diapers - simple, trim-fitting, absorbent and leak-free! Now available in a One Size option fitting from 7 to 35 lbs! A simple one-step diapering system, just snap and go! Love these diapers! 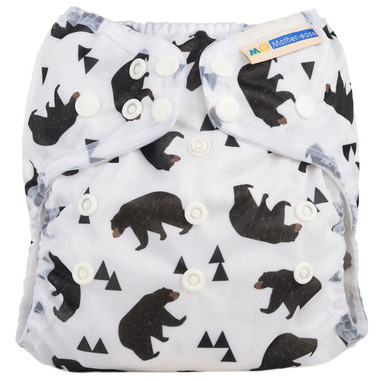 I have tried many cloth diapers in search of ones that donâ€™t leak and are a good fit and these are wonderful. Not bulky at all; donâ€™t need to pull out inserts to wash; and donâ€™t leak!